I laughed as the SUV drove itself along the Petone waterfront. 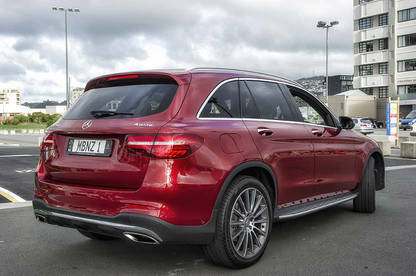 The Mercedes GLC 250 was controlling the speed, keeping itself in the lane and a safe following distance from the truck rumbling along in front of me. 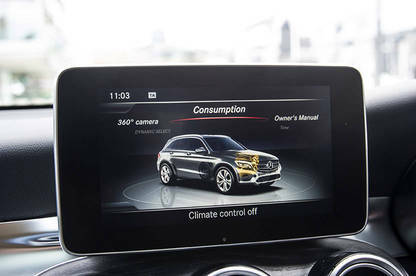 The GLC 250 isn’t exactly a self-driving car, but it’s close. I still had to keep an eye out for intersections and lane changes, but everything else was automatic. This includes headlights that turn on when they sense it’s dark enough and windshield wipers that immediately react to moisture. 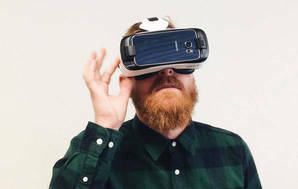 Along with a standard reversing camera, the GLC 250 has 360-degree cameras. Like most high-end vehicles it can park itself, but if you don’t want to give yourself up to a robot car just yet there is another option. 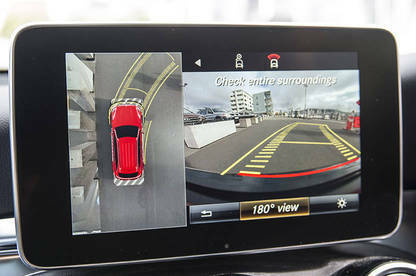 Along with a standard reversing camera, you can use its 360-degree cameras. 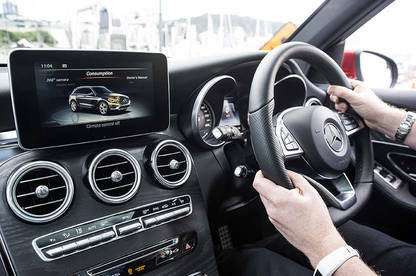 The Mercedes’ dashboard screen shows a “top down” view of your car, with the surroundings shot with a fisheye lens. This makes parking feel almost like a simple video game. I drove along Wellington harbour, from Eastbourne to Seatoun and then to Island Bay, on a very rainy day and included some short off-road tracks. Even in slippery conditions, I never felt the SUV was in danger of losing traction or stability. In fact, driving the GLC 250 felt a little too easy at times. At times, I realised I was getting complacent about driving; taking too much for granted. A screen in the middle of the dashboard is nothing new in cars, but the GLC 250 was the first I’ve driven that gave me useful information. When changing driving modes in a regular car — Eco, Sport, etc — there is an element of mystery; I assume something has happened, such as gear ratios have changed, but I don’t know exactly what. The display in the GLC showed me exactly what changed between modes, which helped my driving as I was able to understand why the SUV reacted as it did. As you’d expect from a luxury vehicle, the interior is wonderful. I didn’t even mind being stuck in gridlock in central Wellington. I cranked up the sound system, opened the sun roof, and just enjoyed the comfortable cabin. Speaking of the stereo, like all new cars you can connect your phone via Bluetooth, but unlike almost every other sound system the music doesn’t automatically play when you start the car up, which is a godsend. It may sound trivial but I found it useful having buttons on the door for adjusting the seat, rather than having to reach down the side of the seat. The central panel also has several physical switches for controlling interior functions (radio, air-conditioning etc). All of these make for a great user experience. 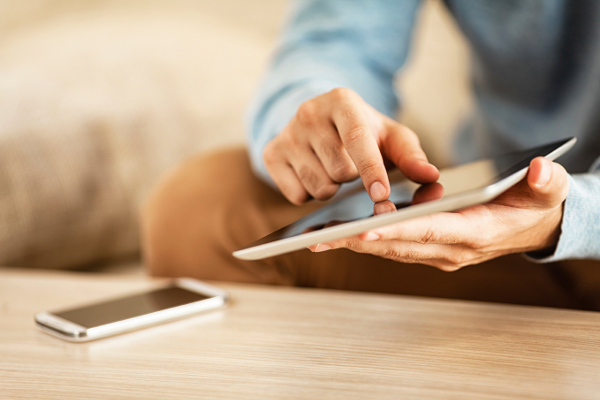 There is no need to take your eyes off the road to read a digital display or use a touchscreen, at least for the basic stuff. Overall, I enjoyed driving the GLC 250, but it would be even better with an electric engine or even a PHEV. It’s already very quiet to drive and the engine turns off when the vehicle is at rest, I just wanted to plug it in at night. Everything else felt so comfortable and futuristic that a petrol engine felt out of date. Glass sunroof with blinds and heat-insulating glass. First Looks are trials of new and interesting products from the perspective of our product experts. Our lab-based tests offer truly objective product comparisons. 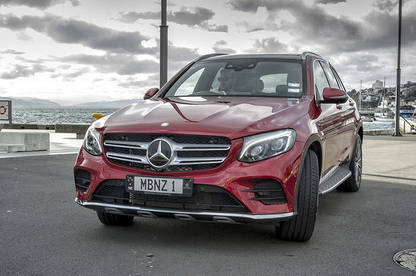 The GLC 250 was loaned to us by Mercedes-Benz New Zealand.